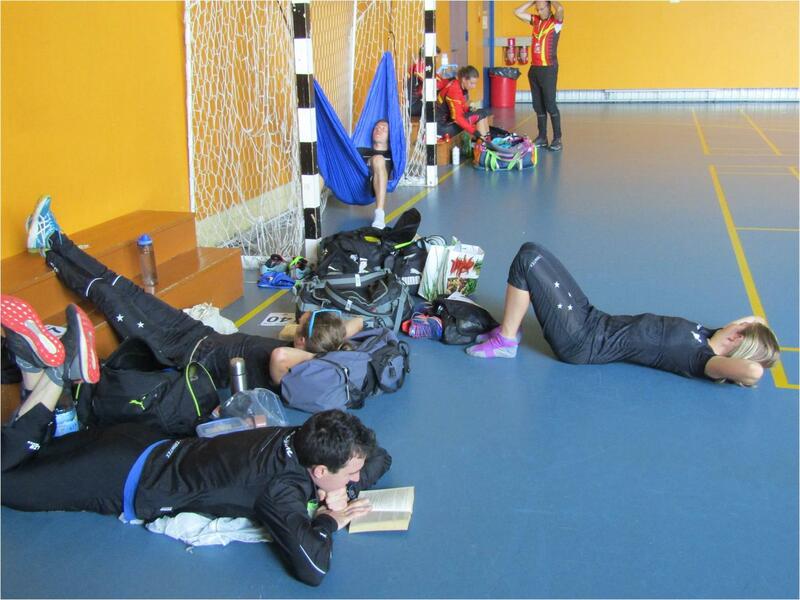 NZL show differenr ways of relaxing in quarantine: Matt takes the reading route,Lizzie puts her feet up, Laura goes flat, and Tim resorts to his hammock. 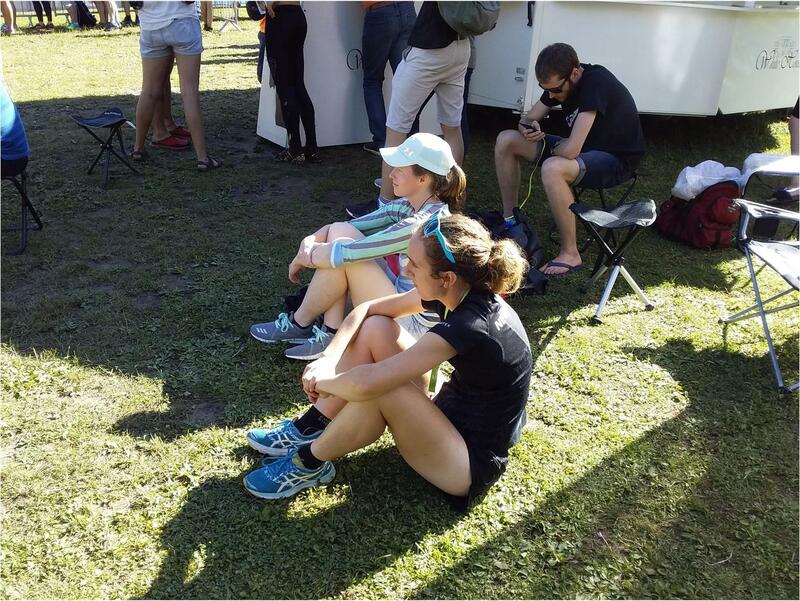 Lizzie Ingham and Tim Robertson were the top NZL performers in a tough WOC middle distance run in Sigulda today. 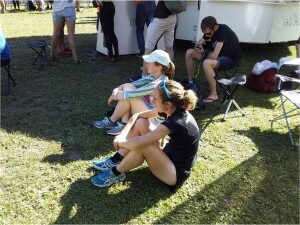 Lizzie, returning to WOC competition only 10 months after heart surgery, continued a remarkable run of results in finishing 24th in the women’s field. Her WOC middle distance record since her first appearance in 2011 shows remarkanle consistency and reads: 18th, 39th, -, 20th, 19th, 24th, 22nd, 24th. Lizzie was happy with today’s result albeit a minute dropped on the first control costing her a top 20 finish. In the men’s field Tim again had the Kiwi supporters in a frenzy as he led through the first two radio controls and posted the current fastest finish time as he crossed the line. Again, there was only relatively minor time loss and his 30th place is the best men’s result by a Kiwi for a considerable number of years. Also in the women’s race Laura Roberston, after 3 tough sprint races over the weekend, had a steady run to finish in 45th place. The women’s gold went to Natalia Gemperle of Russia who had a comfortable margin of 90 seconds over Finn Marika Teini, with Isla Basset of France a somewhat surprise bronze medallist. Interestingly the top 6 finishers represented 6 different countries. The big upset however was the mispunch of reigning champion Tove Alexandersson of Sweden. 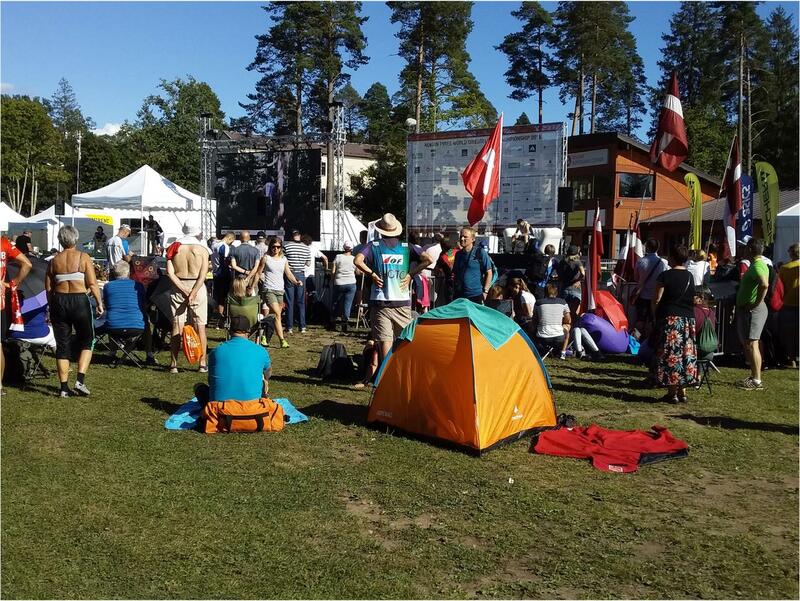 After dropping 40s on control 1 and another 90s on control 2, she went well above control 3 (see https://www.woc2018.lv/files/MM/WOC_MIDDLE_WOMEN.jpg) and punched #4 by mistake. Heading off to where she thought #4 would then be she circled around, lost time, and then repunched 4 thinking she had finally found it. Chances of a medal gone, she still completed the course only to discover the mp at the finish. This was actually a somewhat similar mistake to that made by Matt Ogden, the other Kiwi in the men’s race. Very fast through 1and 2, Matt misread the track bends on the way to his #3 (see https://www.woc2018.lv/files/MM/WOC_MIDDLE_MEN.jpg) and dropped well below the countrol, taking along time to relaocate and, ultimately, being caught by Tim who had started 6 minutes behind. Women; 1. Natalia Gemperle (RUS) 32;02, 2. 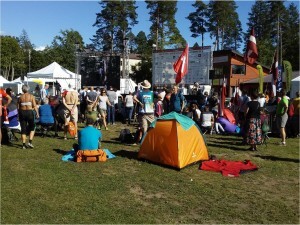 Marika Teini (FIN) 33:32, 3. 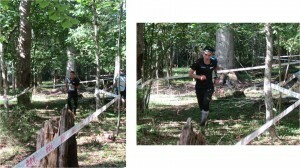 Isla basset (FRA) 33:56, 4. Sabine hauswirth (SUI) 34:01, 5. Jana Knapova (CZE) 34:04, 6. Sara Hagstrom (SWE) 34:17, 24. Lizzie Ingham 37:41, 45. Laura Robertson 42:41. In perhaps a minor surprise the men’s gold medal went to Eskil Kinneberg of Norway, his first ever individual medal at WOC, ahead of the Swiss trio of Daniel Hubmann, Florian Howald and Matthias Kyburz. The result came down to the very last few metres as Hubmann, Tim;s conqueror in the sprint and the last starter, sprinted hard to try and overturn a 4 second deficit at the penultimate control. Men: 1. Eskil Kinneberg (NOR) 32:59, 2. Daniel Hubmann (SUI) 33:05, 3. 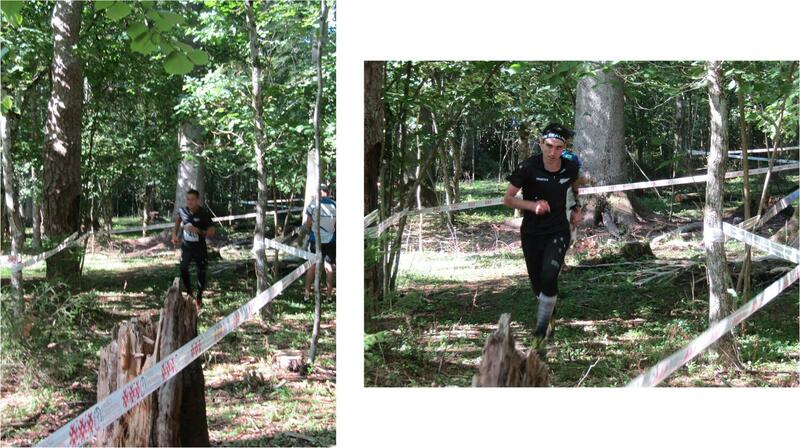 Florian Howald (SUI) 33:13, 4. Matthias Kyburz (SUI) 33:22, 5. Oleksander Kratov (UKR) 33:38, 6. Olav Lundanes (NOR) 33:42, 30. Tim Robertson 38:06, 60. Matt Ogden 47:33. Team NZL’s attention now turns to the forest relays on Thursday, when, after a relatively cool day for the middle, the temperature is predicted to return to the 30’s. Draft running order for the men is Tim, Matt and Gene Beveridge, with Laura, Imogene Scott and Lizzie proposed for the women.